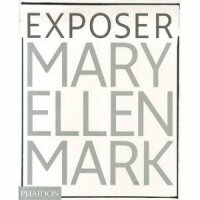 Exposer Mary Ellen Mark de Weston Naef.Acclaimed American documentary photographer Mary Ellen Mark (b. 1940) made her first iconic pictures when living in Turkey on a Fulbright Fellowship in the mid-1960s. Her photographs of Bombay brothels, shot in the late 1970s, were published in 1981 in Falkland Road, a book that became legendary and confirmed her status as one of the most prominent and provocative documentary photographers working today.